CHICAGO (WLS) -- Chicago boxer Ed Brown, 25, died a day after he was shot in the head, his longtime coach confirmed Sunday afternoon. Brown and a 19-year-old woman, who was also wounded and in good condition, were sitting in a parked vehicle about 1:10 a.m. in the 3200 block of West Warren Boulevard in the city's East Garfield Park neighborhood when a silver vehicle pulled up and someone inside shot at them, Chicago police said. In 2009, ABC7 profiled Brown when he was 17 years old and considered one of the best boxers in Chicago and a candidate for the 2012 Olympics team. His mother was killed in the 2003 E2 nightclub stampede. On Saturday, Brown was shot multiple times, including in the head, and the woman was struck in the left leg, police said. Both were taken to Mount Sinai Hospital. Brown's family said doctors are working to reduce brain swelling. His longtime sparring partner Adrian Granados was among those at his bedside. "I started telling him, you're in the tenth round right now, keep jabbing, keep sticking and moving," Granados said. And while Brown's loved ones acknowledged that his prospects for recovery were dim, they believed the fighter in him would prevail. "What I'm saying to friends right now is he's just having a conversation with god right now, but I'm going to continue to ask god to send back our boy. I'm just staying as positive as I can," Granados said. Brown went pro two years ago following an extremely successful amateur career. Throughout his career, he had to fight the influence of gangs and drugs. This is the third time he's been shot. His lifelong coach George Hernandez said Brown had moved past all that. "He's one of the top prospects in the world. He's 20-0 as a fighter, 16 knockouts. We were just getting ready to start camp for his next fight," Hernandez said. A motive for the shooting is unknown. No one had been arrested in the shooting. The family said Saturday that they were overwhelmed with grief. "Put the guns down. Put the guns down. Put the guns down. All these kids are dying in the street. Put the guns down," his aunt Tamika Rainey said. 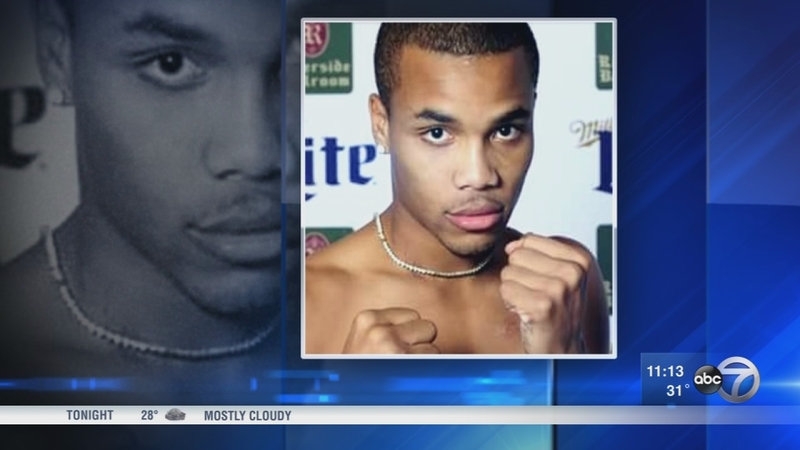 Ed Brown, 25, is a Chicago boxer who was critically wounded in a shooting early Saturday.